The Vietnam War era at Harvard is largely remembered as a time of resistance. In the late 1960s, students burned draft cards, occupied University Hall, and helped drive ROTC off campus. 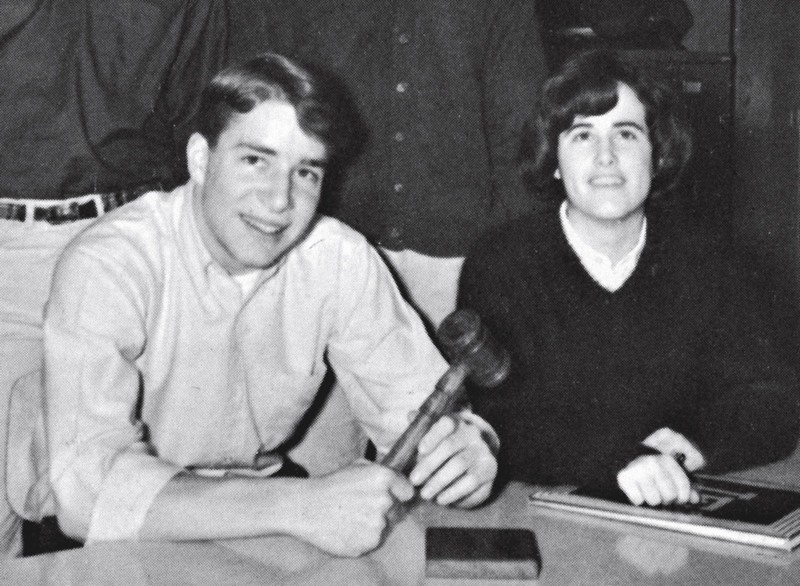 But before the anti-war movement became daily news in The Harvard Crimson, one undergraduate—Carl Thorne-Thomsen ’68—engaged in a personal and uncommon act of protest. Those who knew him describe someone smart and athletic, enthusiastic and genuine, funny and at ease with himself and others. 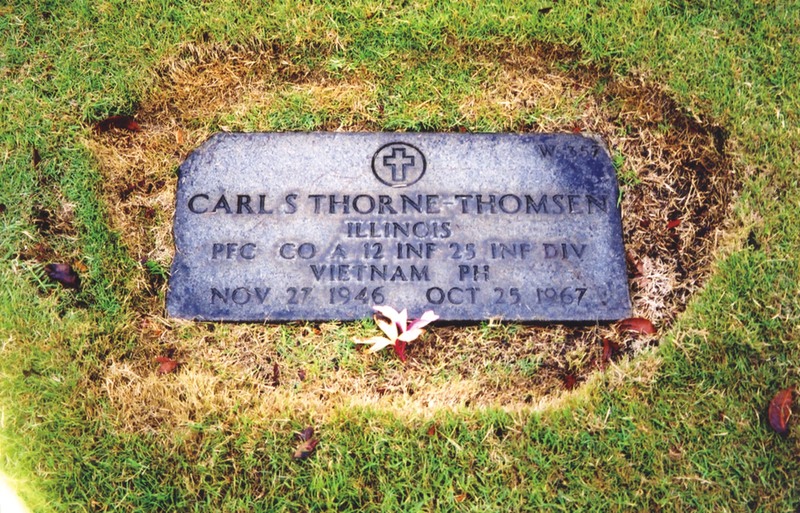 Though his humor often masked it, he also had a thoughtful side, writing in a high-school friend’s yearbook, “Perhaps I do not seem serious…but nonetheless I am.” Above all, Thorne-Thomsen possessed a sense of justice that led him to fight in a war he did not believe in. The fourth of five children in a politically conscious family, he grew up north of Chicago. At Lake Forest High School, he earned academic honors, played the cello, and was a standout athlete. 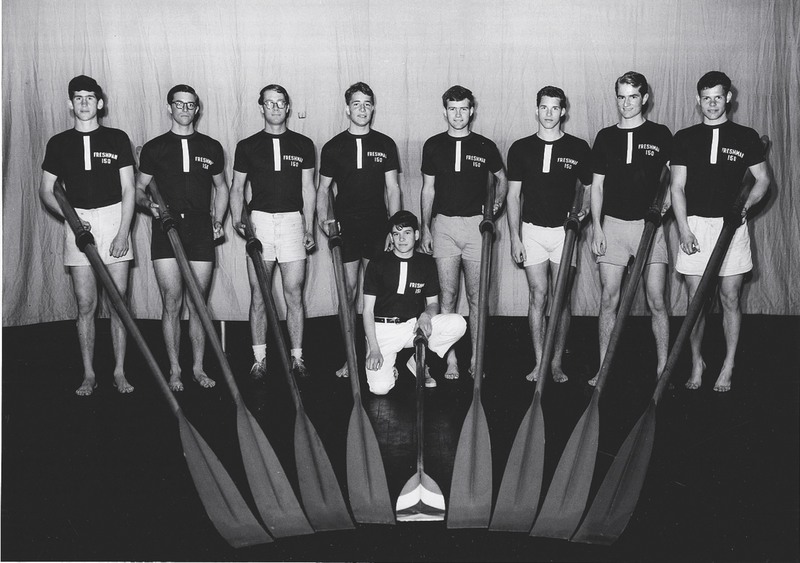 His best friend, Jim Kahle, recalls summers when “we would go sailing, swimming, and play wiffle ball during the day and at night engage in solving the world’s problems.” As student-council president, Thorne-Thomsen demonstrated his democratic values by working to eliminate a grade-point requirement for future officers. Pfc. Thorne-Thomsen arrived in Vietnam on August 23, 1967, and quickly bonded with his unit—Alpha Company, Second Battalion, Twelfth Infantry. He wrote home that he was “glad to be in the infantry because of the lack of ‘pretension’ there.” Army buddies Charlie Page and John Stone knew him as friendly, quick-witted, articulate, and sensitive. Impressed by his abilities, Lt. Burnie Quick made him a radio operator, a vital but dangerous position. On October 25, as Harvard students protested campus recruiting by napalm manufacturer Dow Chemical, undermanned Alpha Company trudged through dense jungle. Entering a clearing of tall elephant grass, the soldiers received fire from all sides. Thorne-Thomsen repeatedly exposed himself to maintain radio contact and facilitate the unit’s maneuvers, until a grenade exploded above him, killing him instantly. When reinforcements arrived two and a half hours later, four more men were dead, and about 30 wounded. Fifty years later, his personal act of protest elicits admiration. Leif Thorne-Thomsen, who initially viewed his brother’s reasoning as crazy, now sees his choice as that of a “remarkable man.” Crew teammate Monk Terry observes, “[It] shows a lot more strength of character than the rest of us had.” Bill Comeau, a draftee from a poor family and Thorne-Thomsen’s predecessor as radio operator, regards him as a hero for “tak[ing] the risks and mak[ing] the sacrifices to right what he considered an injustice perpetrated on the underprivileged class.” Made without fanfare, Thorne-Thomsen’s decision to forsake self-interest for principle retains the power to inspire.